They are HERE! 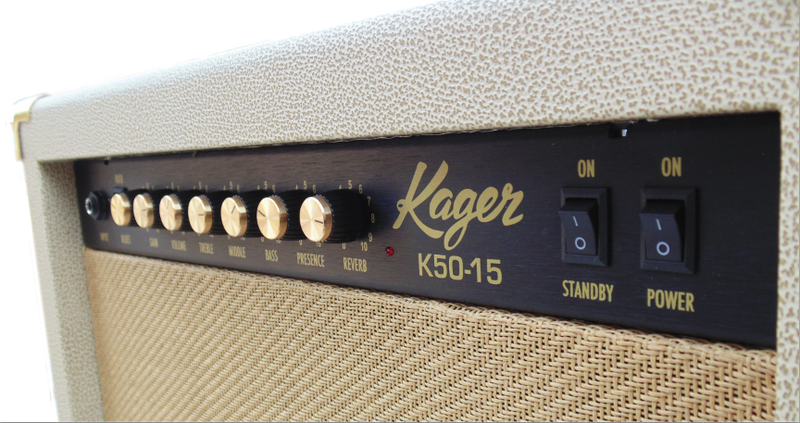 The Dennis Kager-designed tube amps have landed and we are selling now! Hand wired, all tube professional combo amps. These "beautiful monsters" come with quilted amp cover (embroidered logo!) and are top notch all-tube amps. Bench tests reveal them to be amazingly versatile pro amps, good for practice, rehearsal AND gig! This is because of the architecture of the design (remember the Sundown amps?). From home whisper to stage scream, this amp covers it all. Suggested retail is $2,495. (USD) and the MAP (street price) is $1,850.